BEIJING, April 12 (Xinhua) -- China's Chang'e-4 lunar probe is expected to do many things unprecedented in space history after its launch later this year, such as touching down softly on the far side of the Moon and taking the first flowers to blossom on the lifeless lunar surface. The probe will carry a tin containing seeds of potato and arabidopsis, a small flowering plant related to cabbage and mustard, and probably some silkworm eggs to conduct the first biological experiment on the Moon. The "lunar mini biosphere" experiment was designed by 28 Chinese universities, led by southwest China's Chongqing University, a conference on scientific and technological innovation of Chongqing Municipality has heard. The public, especially young people, are being encouraged to participate in projects related to the Chang'e-4 mission. 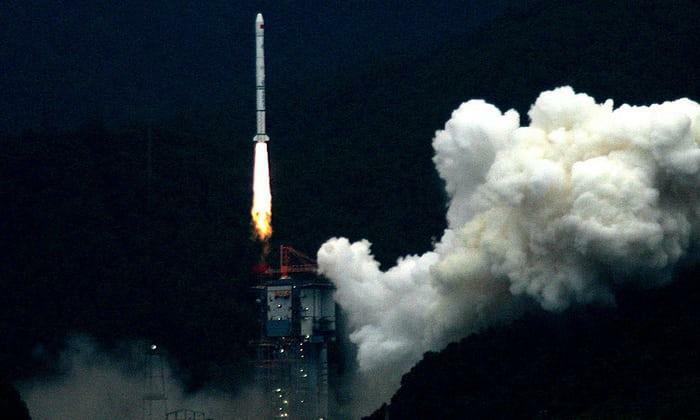 The China National Space Administration (CNSA) launched a contest among students across China in 2016, collecting ideas on the design of the payloads. The "lunar mini biosphere" experiment was selected from more than 200 submissions, according to the CNSA.